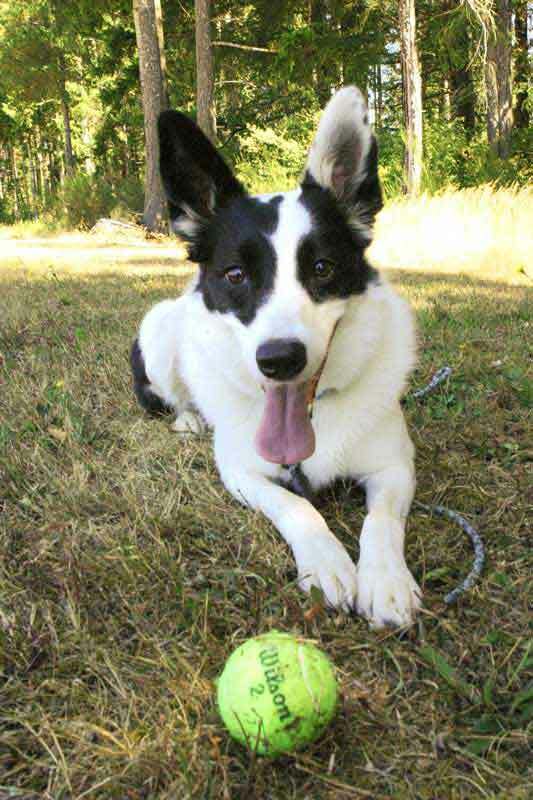 Holly, a white collie with black patches, is a fireball of energy. She's relentless when it comes to tennis balls, obsessively fetching them over and over, ignoring everything else around her. If she doesn't have a tennis ball, her compulsion makes her keep finding objects to fetch. Leaves on the ground. Tissue. Pens. Anything she's not supposed to get her mouth around. It's probably why she wound up in an animal shelter – then adopted out to three different owners and returned each time – before Barbara Davenport found her. 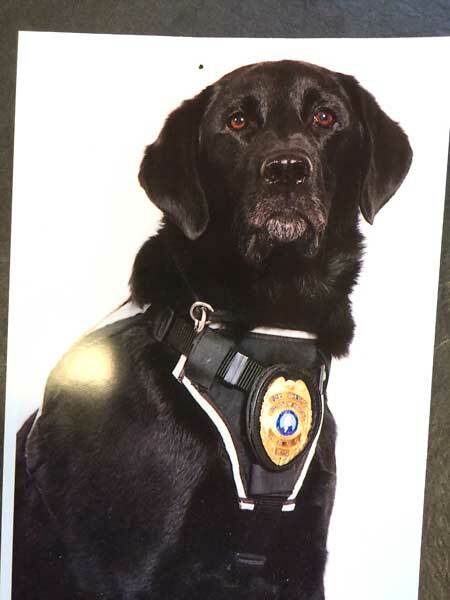 But that level of obsessive-compulsive drive is exactly what makes Holly a great narcotics detection dog for the Department of Corrections, (DOC). "The right dog for me is what most people would deem a 'throw-away' dog; one that's unadoptable for the public," says Davenport, who has been the DOC's narcotics K9 trainer for the past 34 years. "The public doesn't understand how extreme these dogs are... The dog that's trying to eat the fence, or trying to jump out and search endlessly for the ball, that's the kind of dog we're looking for." The drive to fetch a toy is key to training a dog to find narcotics, according to Davenport. Handlers train their dogs to detect narcotics using a "scent box," a compartmentalized box with a few holes drilled into it. The handler places a narcotic-scented object inside the box. He or she brings the dog to the box, pretends to throw a toy and taps the box. Once the dog puts its nose on the box, the handler rewards the dog with the toy. The dog learns to associate the toy with the odor. "Every time you smell this odor, the ball shows up," Davenport says. "It's the ultimate in positive reinforcement training." Eventually, the handler is able to walk with a dog in any setting and instruct it to find an odor. The dog uses its sharp sense of smell to find the object, then sits to indicate it has found the object. This is known as "passive response" training. All DOC dogs and their handlers go through a six-week training course. Additionally, all dog-handler teams are required to complete an annual certification from the Washington State Police Canine Association. 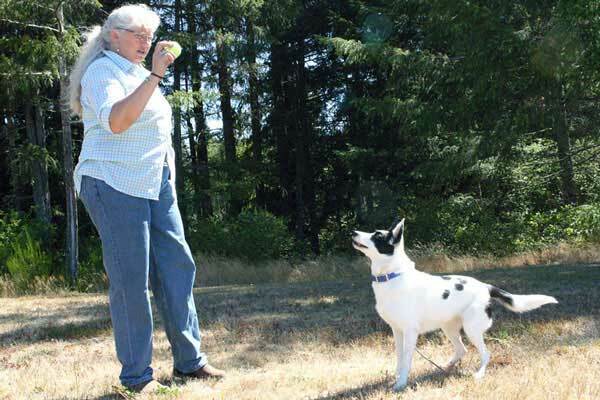 Davenport estimates she's trained more than 450 dogs over the past three decades, both for the DOC and other state and municipal agencies in the Pacific Northwest. The dogs are trained to find drugs such as heroin, cocaine, methamphetamines, marijuana, spice, and suboxone. Some can also find other types of non-drug contraband like cell phones. The DOC has a total of eight narcotics dogs and five handlers. 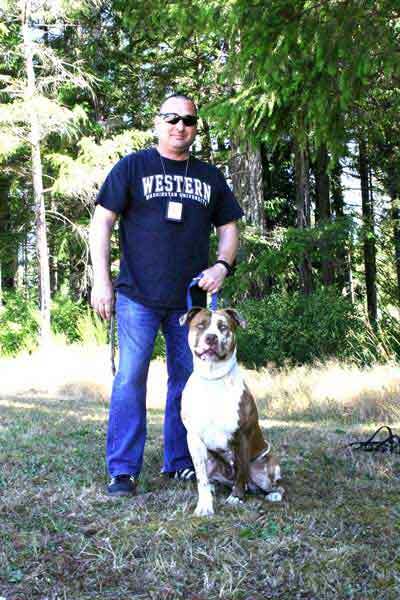 The dogs are stationed with their handlers at five facilities: Airway Heights (AHCC), Clallam Bay (CBCC), and Stafford Creek (SCCC) corrections centers, Monroe Correctional Complex (MCC) and Washington State Penitentiary (WSP). They mainly search areas like prison visit rooms, but may also be used to conduct individual cell searches. Occasionally, staff use the dogs to search for contraband at work releases or other facilities. Sometimes other law enforcement agencies that don't have narcotics dogs call on them to assist in searches. Davenport always had a love for animals. She got her first job on the dog show circuit at age 10, transporting dogs from grooming areas to their handlers at the show ring. Though Davenport was born in Oakland, Calif., she moved frequently during her childhood because her father was in the military. But dogs were the constant in her life, and handling them was a hobby she had in every city. In high school, she began working with dogs in junior showmanship and obedience trial competitions. "I quickly gravitated out of the conformation show arena where dogs were judged against a written standard of appearance and got into the performance end of things," Davenport said. She learned the military had a patrol and narcotics dog program. Davenport enlisted in the U.S. Army after graduating Peninsula High School in 1975. Her military career sent her to Germany, where she served in the military police force. She was reassigned to Joint Base Lewis-McChord, but requested to attend the dog training school at Lackland Air Force Base in San Antonio, Texas. "I knew I wanted to work dogs in a professional capacity and the military was the most advanced in the '70s to allow women to handle dogs in a professional capacity in a law enforcement setting." She left the military in 1982 when she was offered a position with the DOC. 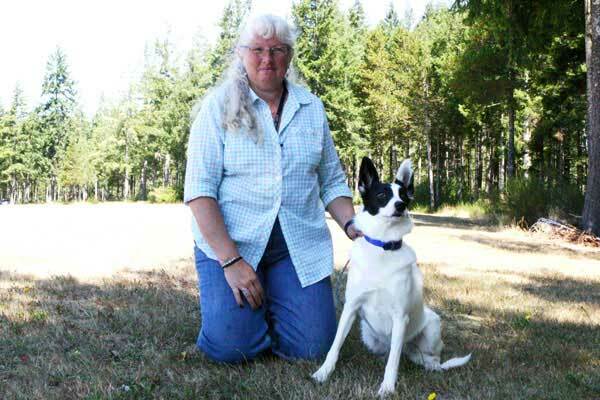 One of the first dogs she trained was Thor, a German shepherd for the former McNeil Island Corrections Center (MICC). The experience with Thor helped Davenport refine the model of K9 narcotics detection the DOC still uses today. 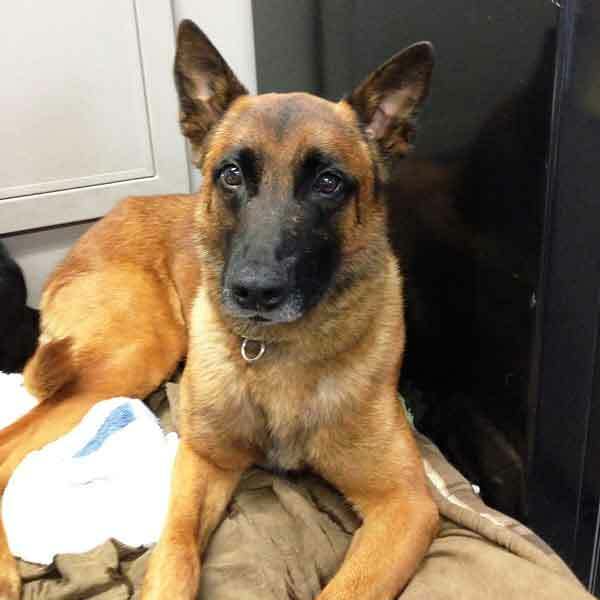 Thor detected contraband items by scratching and biting at them, known as an "aggressive response." It's not an ideal method for detecting contraband because of the risk of compromising evidence or damaging property. So Davenport made Thor a family pet and brought on Kale, a golden retriever, and trained him in passive response detection. From there, Davenport trained all other DOC narcotics detection dogs using the passive response method. Davenport leads training sessions for handlers two or three times per year for DOC officers and participants from other law enforcement agencies. They train at the Washington Corrections Center (WCC) in Shelton and return to their assigned agencies after completion. Davenport not only impacts the lives of the dogs, but those of the officers she's helped become handlers. Murray Cox has been a K9 corrections officer at AHCC since 1998. He's the handler for Hank and Razor, the narcotics dogs who presently patrol the facility. He's worked with and trained five other narcotics dogs at AHCC over the years. Cox recalls when he first met Davenport, they didn't always share the same philosophy when it came to training a dog. He describes himself as being "outspoken and probably a pain in her side." Despite a rocky beginning, Cox says the most valuable lesson he's learned from Davenport is "to separate the dog from the handler." "More often than not, she will put out a great dog and an okay handler who has the drive and determination to improve to catch up to the dog," Cox said. "The dog is always smarter and a faster learner than the human. She's aware of that and makes sure the human part is aware of it. Now after all these years, she trusts my judgment." Douglas Taylor is a corrections and custody officer at MCC. 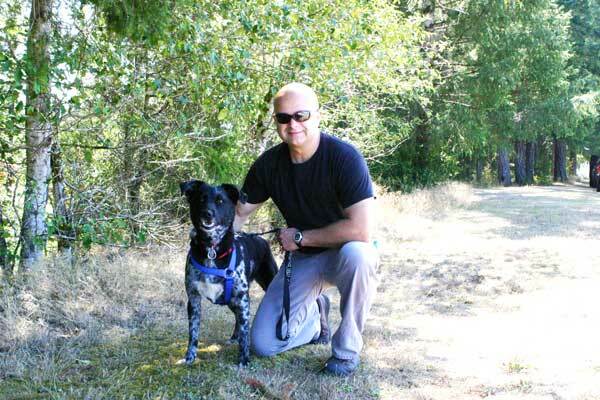 He recently completed the six-week training with Mira, a 3-year-old brown-and-white Catahoula. Rescuers say Mira was a stray who had probably been used for mass-breeding before getting selected for the DOC narcotics dog program. "She's a hard-working dog," Taylor said. "This (narcotics detection) is what she really lives for." Taylor adds Davenport makes learning an enjoyable experience, for both dog and handler. "She's confident and knows what she's doing," Taylor said of Davenport. "When you're training to do something with a dog and you're stressing, trying to get the dog to do it, she'll walk over to the dog and then somehow, the dog knows how to do it." Davenport says the most rewarding part of training narcotics dogs is improving public safety while saving a life at the same time. "It's taking a dog that's not adoptable to the public, that has a foregone, dismal outcome otherwise, and turning that dog into a successful, valuable resource in the community."